It looks like you won’t have to sneak your way into the royal wedding after all—Prince Harry and Meghan Markle’s nuptials will be televised, a spokesperson for the pair confirmed. 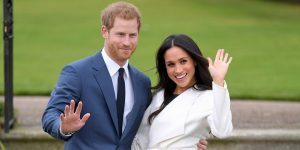 The couple wants “the day to be shaped so as to allow members of the public to feel part of the celebrations too,” according to the rep. Broadcasting the highly-anticipated event for royal fans across the pond should do the trick. The ceremony, set at St. George’s Chapel in Windsor Castle, begins at 12 noon local time, which means it’ll start 7 a.m. ET/4 a.m. PT. But, as with all newsy events, there’ll be coverage of preparations and guests arriving hours before the service begins. CBS will start live coverage at 4 a.m. ET, hosted by Gayle King and Kevin Frazier. The network’s correspondent Tina Brown will also join in for commentary. Later that day, CBS will also air a two-hour special, Royal Romance: The Marriage of Prince Harry and Meghan Markle, at 8 p.m. ET/PT. The Today Show (NBC) will also start early—their live coverage begins at 4:30 a.m. ET, with Savannah Guthrie and Hoda Kotb hosting “from a special vantage point” overseeing Windsor Castle. The pair will also anchor a live show the day prior (Friday, May 18) from a location overlooking the castle, followed by Al Roker and Sheinelle Jones anchoring at their respective hours. PBS will have live coverage of the ceremony on May 19, but timing has not been announced yet. The network will also air a special nightly series, Royal Wedding Watch, from May 14-18, leading up to the big day. The viewer count for Harry and Meghan’s nuptials will likely be insanely high, if it’s anything like previous royal weddings. Prince William and Kate Middleton garnered almost 23 million viewers in the U.S. alone when they wed in 2011, and Princess Diana and Prince Charles had 17 million viewers when they tied the knot in 1981. Will the May 19 ceremony be the most-watched royal wedding yet? 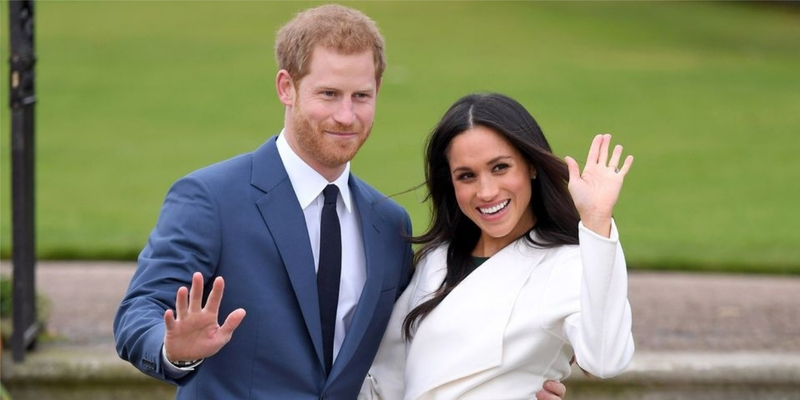 “This wedding, like all weddings, will be a moment of fun and joy that will reflect the characters of the bride and groom,” Harry and Meghan’s spokesperson added. We can’t wait to watch (and cry) along. Watch this space for more updates on networks and livestreams broadcasting the royal wedding.